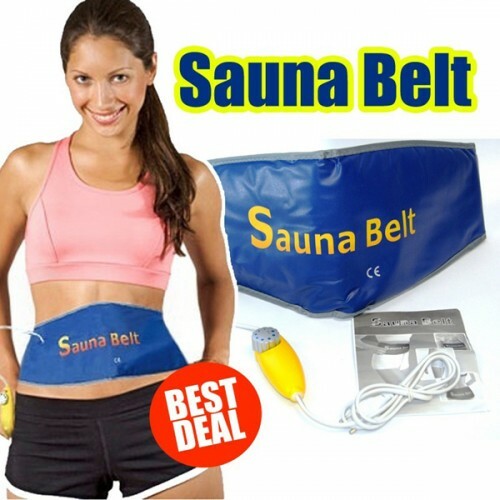 Major Benefits of Sauna Belt : Sauna belt is traditionally recognized as fast safe weight loss tools for weight loss. The heat pad (temperature control by digital remote) on the belt will melt away the unwanted fat from your body tissue and organ surroundings. The heating power from the belt increases your body metabolism and improves your system. Beside strip fats off from your body, the sauna slimming belt also helps in trashing out excessive water from your body. As what we know, over storage of water inside body will cause you over-weight. Based on osmosis biological hypothesis, aqua molecules will move from "thick water" to "thin water" and automatically when extra water release from your body, your body will stay in a "less burden" condition, and definitely weight will goes down.